Only rarely does someone come in just to see how acupuncture can help them stay well, but the truth is that acupuncture is at its best when used as a tool to prevent illness and maintain wellness. I recommend that my patients consider an "acupuncture tune-up" twice a month, just as you might have a massage to keep your muscles loose. Regular acupuncture treatments give your body the gift of improved blood circulation, deep relaxation, a gentle prompt to adjust body temperature, blood pressure, immune system performance and other autonomic/involuntary processes. If any health issues have come up since your last visit, we can begin addressing them, if you have any health-related questions, we can help you find the answers. 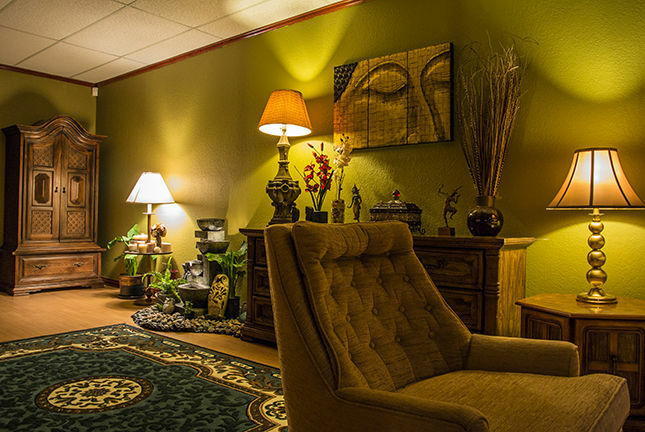 What is it like to have acupuncture treatment ? Q) Do the needles hurt? A) Acupuncture is essentially painless. Although some people may experience a slight pinch as the needle is inserted, many feel nothing at all. Q) How are they sterilized? A) Modern acupuncture needles are disposable and used only once, there is no risk of transmitting infections from one person to another. Q) How many needles will you use? Q) How long will the needles be left in? Acupuncture is not about needles alone. There are other basic "tools" that our acupuncturists usually use to help the patient meet his or her health goals. Pain is the body's warning alarm. It tells you something is wrong. If you ignore your body's alarm, similarly to the fire alarm in your house, severe problems can form soon. Generally speaking, relieving blood and Qi (energy) stagnancy, balancing the energy, nourishing the tissue, increasing circulation, and building up deficient organs are all ways that acupuncture treats pain. And We are specialized in Pain Control, Tune up your Body, and Weight Control. 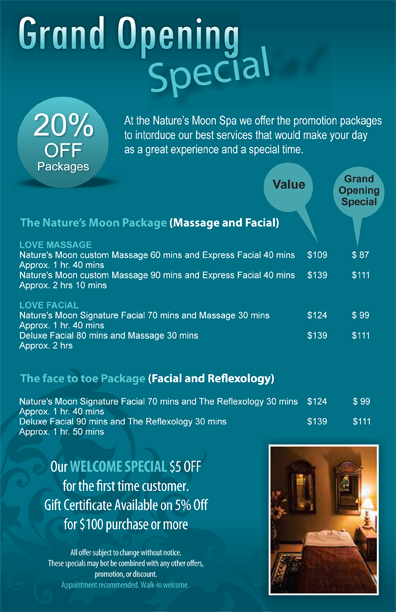 Nature's Moon is a traditional Thai spa that offers healing massage and facial treatments to enhance health, beauty and relaxation. 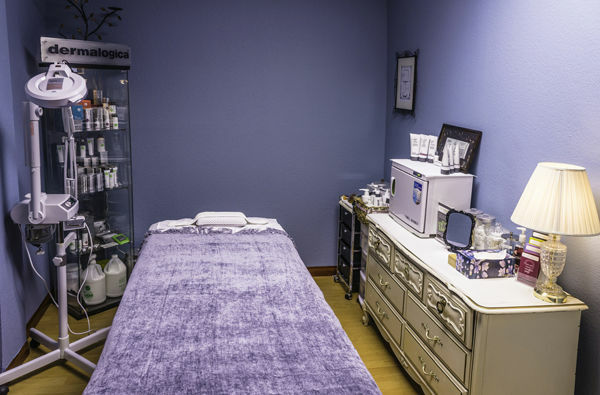 Our professionally trained, licensed therapists and estheticians are the best and most experienced in the region. 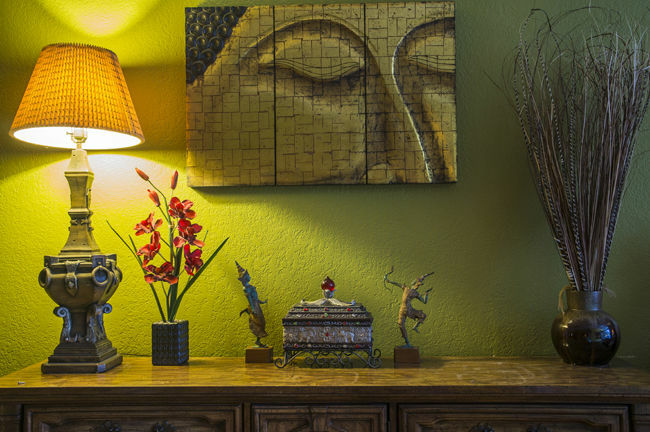 Specializing in traditional Thai methods, our therapists can also incorporate Swedish technique, acupressure, reflexology and stretching to suit your body's unique needs. Expert facial treatments employ Dermalogica products formulated from the purest ingredients to improve skin health and tone. 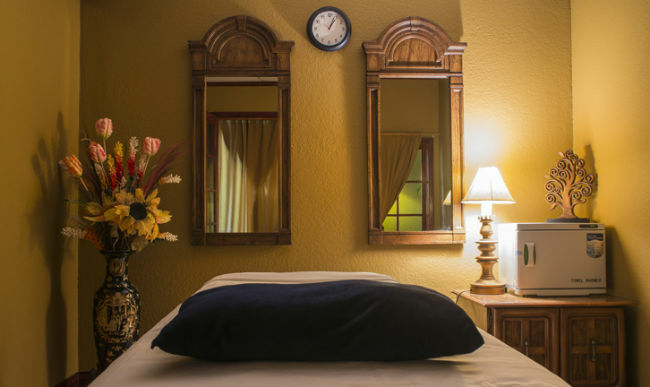 Our private treatment rooms provide a clean, comfortable environment to accommodate your relaxation, with double rooms available for those who wish to share the experience with a partner or friend. Come indulge your yourself! 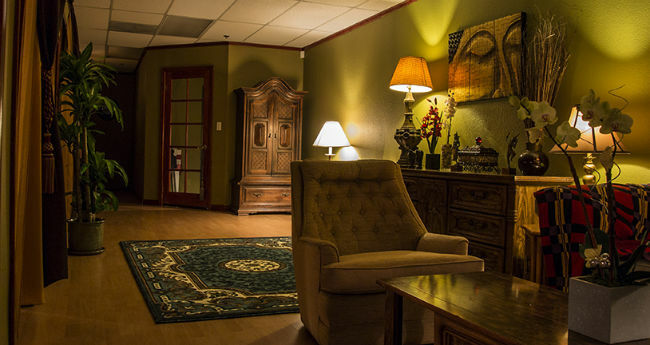 Let us craft an individualized treatment that will leave you feeling relaxed and rejuvenated. 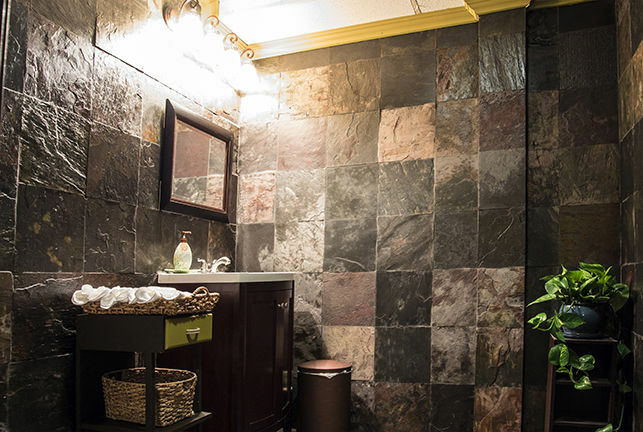 We look forward to providing you with the ultimate professional spa experience. Traditional Thai Massage, also called Thai Yoga Therapy is a natural, holistic approach to health and well-being, developed over thousands of years. 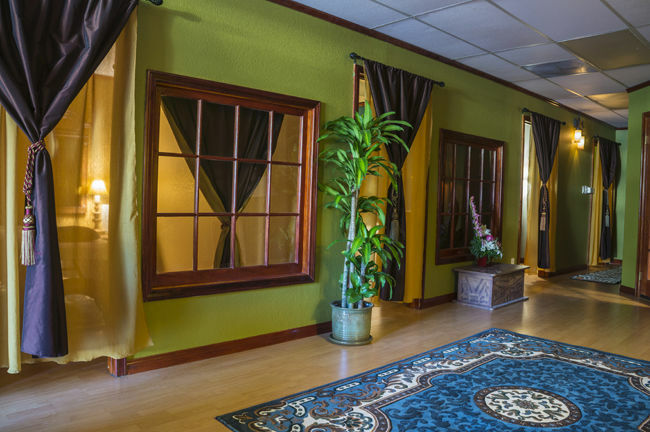 Traditional Thai massage is a deep, full-body treatment, which includes stretching deep static and rhythmic pressure. Ancient Thais treat pain and restore the flow of energy throughout the body and spirit. 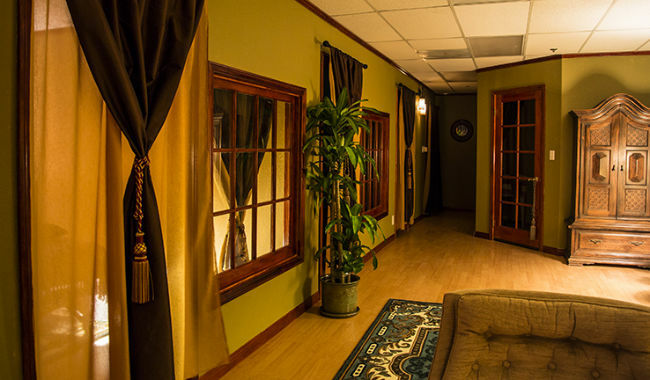 Deep tissue massage is designed to relieve severe tension in the muscle on areas of pain and the connective tissue. Acupressure with intense, long strokes pressure is focused on tight nerves. 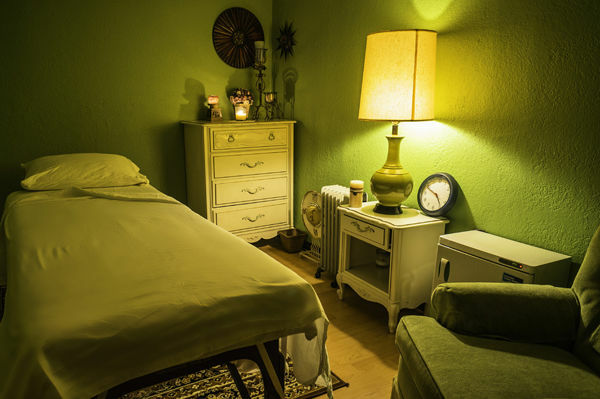 Swedish massage refers to a variety of techniques, designed to help reduce pain, joint stiffness and improve function in patients with long flowing strokes, smooth and firm pressures. Swedish massage affects the nerves, muscles, glands and makes you feel more healthy and relaxed. We understand that everyone has a different body and soul. 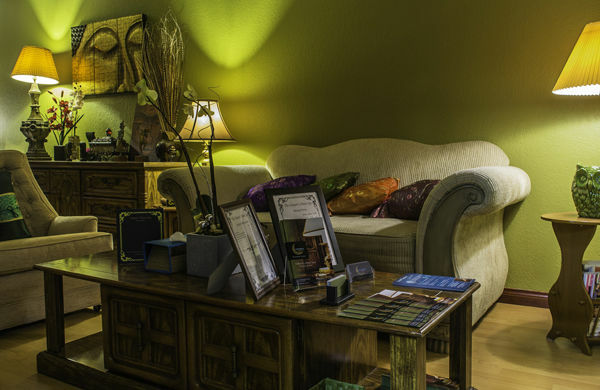 Our professional therapists combine their own styles and a wide variety of techniques to create the perfect massage for your specific needs. Pregnancy massage is designed to reduce stress, decrease swelling in the arms and legs, and relief aches and pains in muscles and joints. Our therapists have been professionally trained to understand all stages of your pregnancy to alleviate pain and lend emotional support. During their long history study of massage Thais learned that certain areas of the feet and hands are linked to other areas of the body. Applying pressure to these reflex areas can promote health in the corresponding organs through energetic pathway so this treatment includes massage of hands neck and shoulders then the foot soaking, salt scrub and complete reflexology massage to refresh the skin and to release any stress. We offer a where special place for you and a romantic partner or friend can spend a quality time together in a side by side massage therapy session and become closer in your relationship with very special comfortable massage experience at our place. Herbal compresses have been used in Thailand for hundreds of years. The herbs are wrapped in cotton cloth and steamed prior to application to release their aromatic and benefit to the skin. Traditional Thai medicine is a natural, which includes proper nutrition. 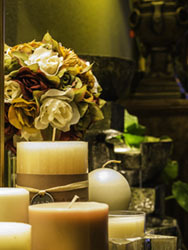 The use of medicinal herbs and therapeutic massage is designed to encourage health and well-being. Relaxing but energizing, this facial will deep clean pores and exfoliate congested skin. A purifying mask restores skin's radiance. This powerful, self-heating skin polisher combines physical and chemical exfoliants to refine skin texture, promote skin firmness, and enhance penetration of age-fighting vitamins into skin. Acne and breakouts have finally their match! Our medicated clearing treatment will focus on purifying your skin with deep cleansing, followed by extraction.Formulated to improve skin clarity and reduce blemishes, while soothing redness and inflammation. Encourages balance and control of this skin condition. 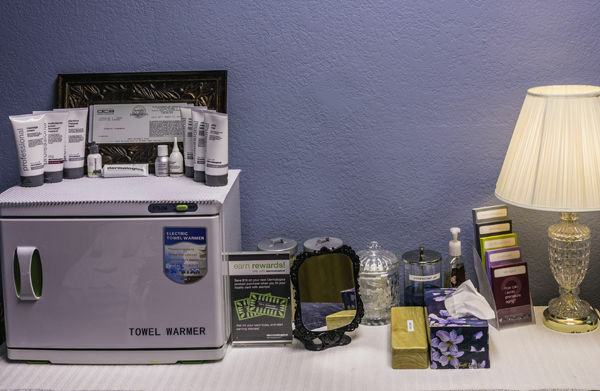 This facial helps to improve hydration and restore balance to all skin types; includes cleansing, exfoliation, extraction, specialized masque, toning, moisturizing and sunscreen. 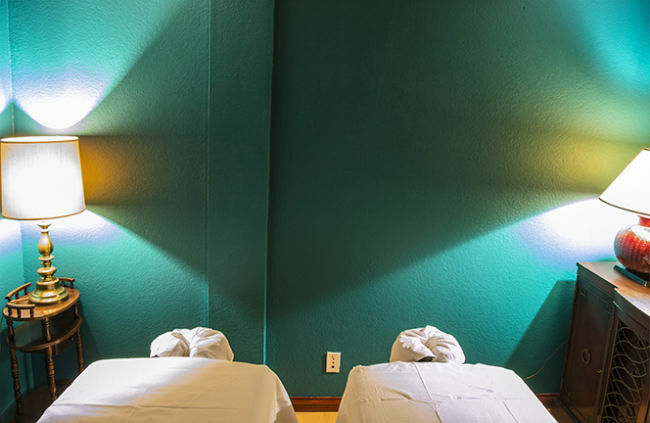 Pure relaxation ensured with a neck and shoulder massage. Long hours at office or a late night out, this facial repairs the adverse effects of stress and our ever changing lifestyles. Deluxe includes extraction, scalp, hand and arm massage. De-stress your muscles and cleanse the skin of impurities with this purifying and relaxing back treatment. A deeply cleansing exfoliant sloughs off dead skin cells, readying skin for the removal of toxins. Your hardest parts to reach will be cleansed, polished, hydrated, and refreshed! * Eyebrow services include trimming and tweezing. ** Full Face service includes eyebrow waxing. Important: If you are currently taking any prescription medication, it is always best to be safe and notify your Esthetician before a service.If you have used Accutane in the last six months,No waxing or exfoliating services can safely be performed.